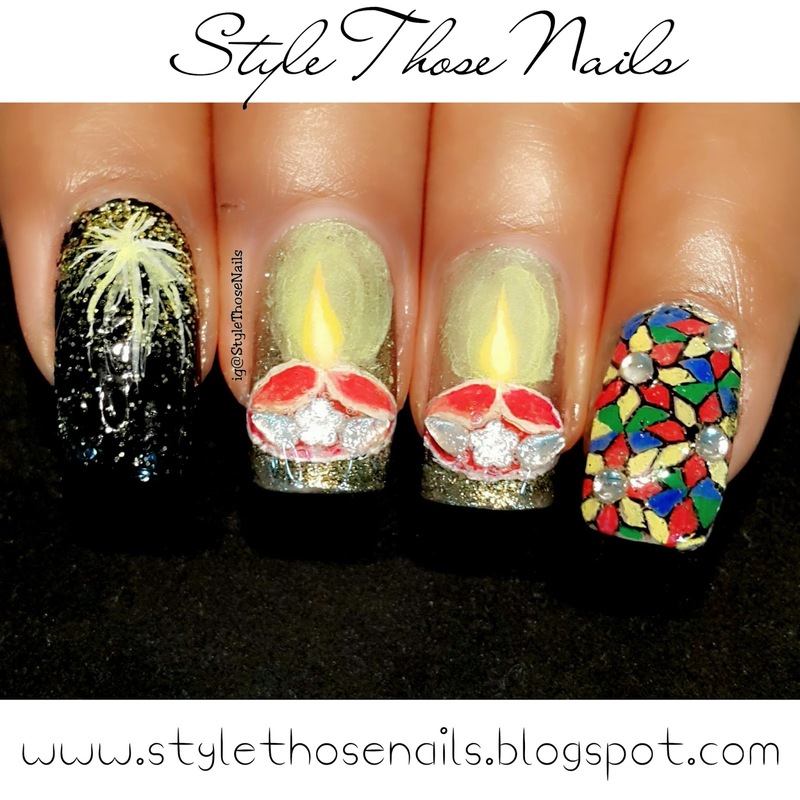 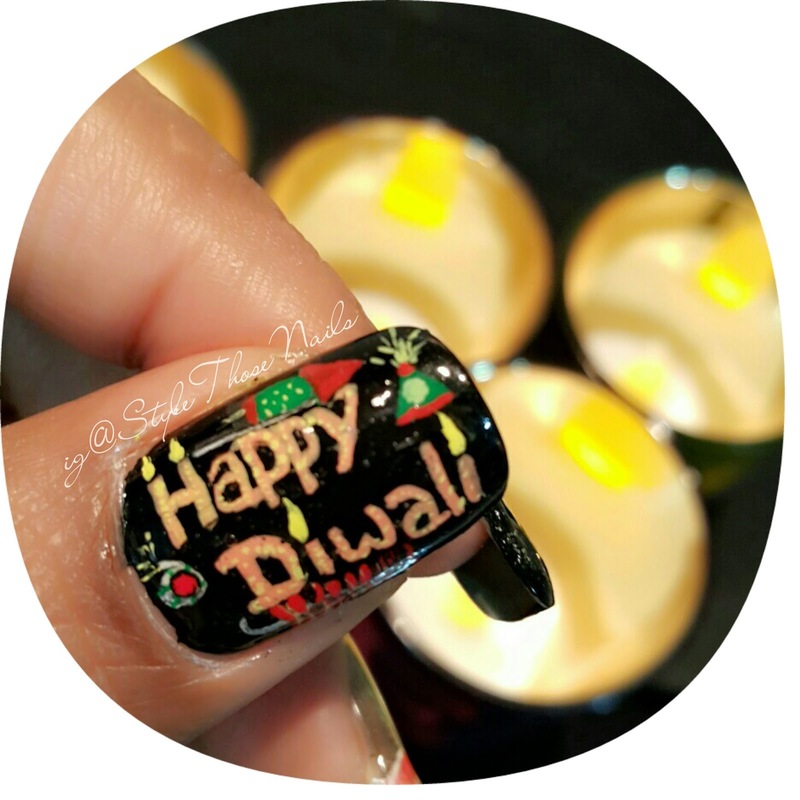 Coming to nailart- On thumb I wrote happy diwali with crackers and candles all freehand. 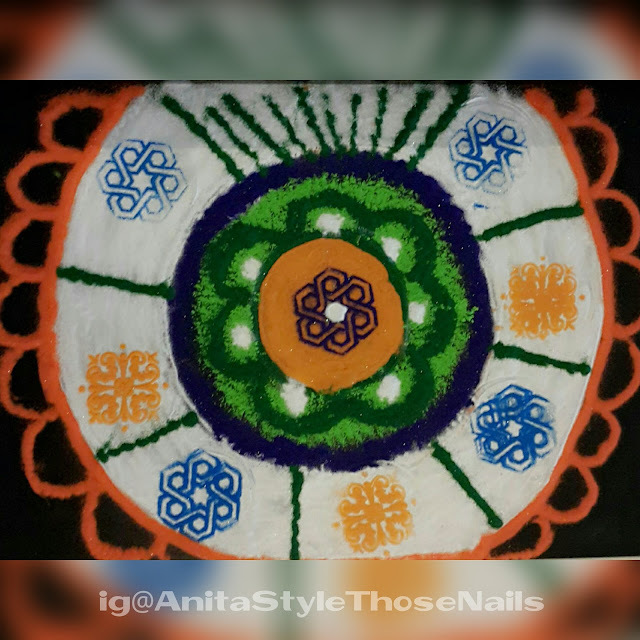 On index I created firework,using glitter gradient as background and then painting firework on top of it , On middle and ring nail I made diya (earthen lamps) and on pinky nail I made rangoli which I first stamped from BP-25 stamping plate (BornPrettyStore) and then filled acrylic colours directly on nail. 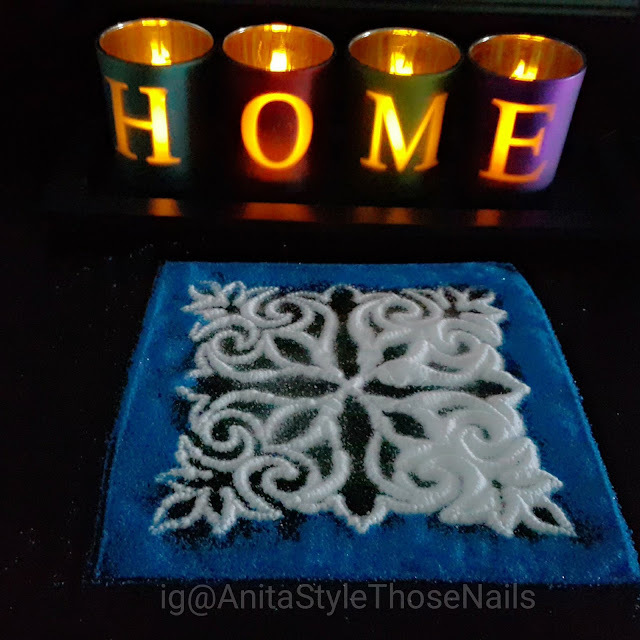 To decorate lamps and rangoli I used nail decorations from LadyQueen. 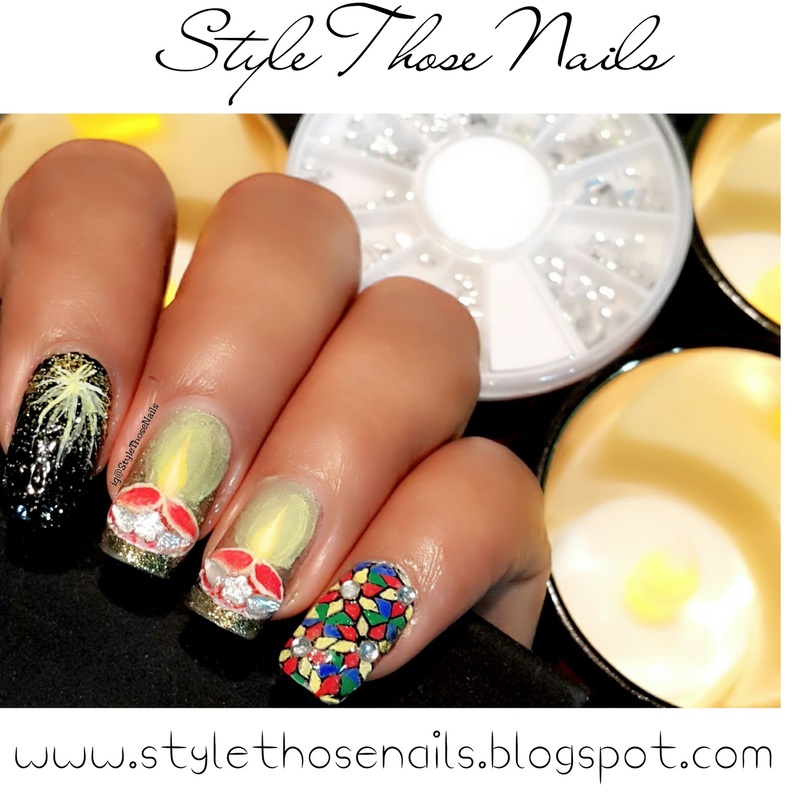 I will be doing review of items I received from Lady Queen in next post :) so stay tuned. 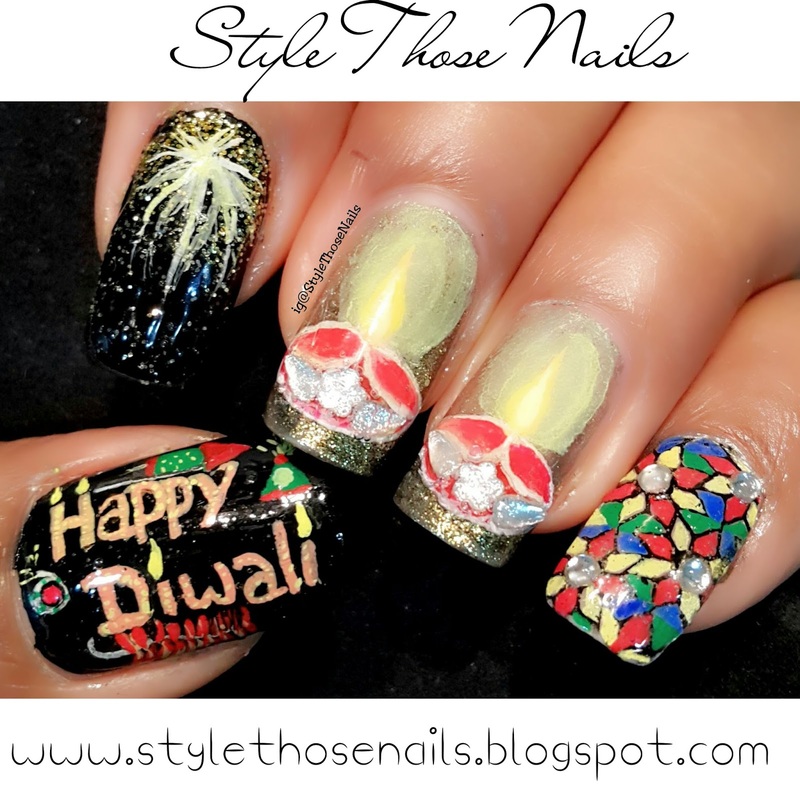 Thanks a lot for your time-HAPPY DIWALI once again ! !